Censorship is a big deal in China, where the government has made it clear that it will go to any length to control information. The Chinese government strictly controls news spread through the Internet and mass media, consequently deciding what its citizens know and what they do not. Several Western companies—including Google and Facebook—have either left or been banned in China over censorship and privacy issues, leaving Chinese-owned companies that the government can easily manipulate in their place. Away from the Internet, China has also banned several other weird things—usually for ridiculous reasons. Although the government often says otherwise, most of the items on this list were banned for political reasons. Hip-hop songs and hip-hop artists with tattoos are prohibited in China. The ban was issued through the State Administration of Press, Publication, Radio, Film and Television (SAPPRFT), which stated that hip-hop artists had refused to toe the line of the ruling Chinese Communist Party (CCP). SAPPRFT ruled that media agencies must not feature artists who use vulgar or “tasteless” lyrics and artists whose “heart and morality” differ from that of the ruling CCP. Additionally, the artists must neither be classless nor questionable. Weeks before the ban was issued, two popular Chinese hip-hop artists, Wang Hao (stage name “PG One”) and Zhou Yan (stage name “GAI”) had been sanctioned for what the government called “bad behavior” and use of lyrics that were not aligned with the ideology of the CCP. PG One was also accused of using lyrics that insulted women and promoted drug use. Films and television shows depicting time travel have been disallowed in China since April 2011. The government stated that the ban was necessary because movies depicting time travel are often historically inaccurate and filled with feudalism, superstition, and reincarnation, all of which are capable of distorting and insulting the history of China. The ban came at a time when time travel films were gaining popularity. Their plots often involved people teleporting from modern China to ancient China. The events in the fictional ancient China were usually modeled after real events that happened in ancient China but with some exaggerations. The government fears that this could alter citizens’ opinions of the past. Around June 8, 2017, several Chinese blogs and social media accounts that were focused on celebrity gossip mysteriously disappeared from the Chinese web. It was later revealed that they had been shut down on the orders of the government. Apparently, the government had called representatives of several big Chinese Internet companies to a meeting and had given them a list of 60 blogs and social media accounts it wanted shut down. According to the government, the ban was necessary because the blogs and social media accounts were of “poor taste” and did not promote “socialist values.” The shutdown was surprising to many Internet users because the government had often left sports and entertainment news uncensored. China has banned reincarnation. That is, people who claim to be back from the dead. Anyone who wants to be reincarnated or claims to have been reincarnated needs to seek approval from the government and follow the rules as listed by the Chinese State Administration for Religious Affairs. Despite its hilariousness, the prohibition has very real religious and political undertones. It is targeted at all Tibetan Buddhists, specifically the Dalai Lama, the spiritual and political leader of the Tibetan people and followers of Tibetan Buddhism. Tibet used to be an independent country. Then, over five decades ago, China invaded and added the country to its territory. The Dalai Lama fled Tibet for India, where he still holds sway over Tibetans. They believe that the Dalai Lama is capable of reincarnation after death. Considering that the current Dalai Lama is already old, a successor is bound to be appointed within the next few years or decades. By controlling who can be reincarnated, China will be able to decide who becomes the Dalai Lama. When this happens, it will be able to bring all Tibetans and Tibetan Buddhists under state control. Even if the Dalai Lama decides to be reincarnated among Tibetans outside China (maybe in India or the United States), China could refuse to recognize that Dalai Lama. It could even appoint another Dalai Lama from the Tibetan population in China, leaving Tibetans with two Dalai Lamas. This will inevitably cause disagreement and confusion among Tibetans. However, it is known that the ban was not intended to preserve Chinese culture or prevent whatever the government meant by “cultural and linguistic chaos.” Rather, it was intended to stop Internet users from using puns to bypass Internet censorship and mock the government. In March 2018, the China National People’s Congress voted to expunge the law that limited the president’s rule to two five-year terms. This is believed to be the first step in President Xi Jinping’s attempt to rule China for life. The government had kept all preparations under wrap and only hinted of the proposed amendment two weeks earlier. Some citizens opposed the proposed amendment and openly criticized it on social media. Many compared China to North Korea and used the phrase “I disagree” to show their disapproval. That continued until the government banned the phrase. Internet users who made posts containing “I disagree” got an error message in return. Besides “I disagree,” the government also banned ”migration,” “boarding a plane,” “life-long rule,” “long live the emperor,” and Animal Farm. Animal Farm is the name of the popular novel by George Orwell, while “boarding a plane” is similar to a Chinese phrase meaning “ascending the throne”—as in Xi Jinping was trying to become king. The Chinese government banned Winnie-the-Pooh after it realized that its citizens were comparing the fictional character to President Xi Jinping. Due to Internet censorship, Chinese citizens are unable to use certain words on the Internet. So they often find creative ways to bypass censorship and use these words. One method is by using different words or characters to represent people and events. For President Xi Jinping, it was Pooh. When a picture of Xi Jinping shaking hands with Shinzo Abe, Japan’s prime minister, surfaced on the Internet, Chinese citizens responded with pictures of Pooh shaking hands with Eeyore the donkey. When another picture showing Xi Jinping popping his head out of his presidential limousine surfaced, the people responded with a picture of Pooh popping his head out of a toy car. The ban was not the first time that pictures of Pooh were prohibited on the Chinese Internet. Earlier, a ban came because the Chinese Communist Party was preparing for a congress and there were concerns that more questionable pictures of Pooh might pop up. China disallowed livestreaming after realizing that it could not be censored like other online content. This wasn’t the reason the government gave, though. They stated that the prohibition was necessary to clean the Chinese Internet. The ban was issued in June 2017 and was targeted at Sina Weibo, China’s equivalent of Twitter, and Ifeng and AcFun, two video sharing sites similar to YouTube. Livestreaming was gaining popularity at the time of the ban and involved unusual technologies that the government was not used to censoring. For instance, in 2016, Ifeng livestreamed the US presidential election, something the Chinese government would not have ordinarily allowed. So they just instituted the ban while they worked on censorship. 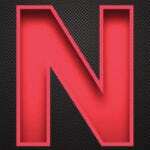 The letter “n,” the innocent 14th letter of the English alphabet, was another unfortunate victim of China’s censorship. The ban came after China announced its plans to remove the two-term limit for president. In mathematics, the Chinese use the letter “n” the same way we use the letter “x.” So “n” stands for unknown or infinity. Chinese citizens were using the letter to denote the number of years that Xi Jinping will remain in power. However, the government probably realized that the letter “n” had other uses and lifted the ban a day later. China categorizes itself as an atheist nation. Although it prefers that its citizens remain atheists, the government claims to allow freedom of religion. However, serving and retired members of the ruling Chinese Communist Party are banned from having a religion. They cannot get involved in religious activities and are expected to act against certain religions like the Falun Gong, which the government categorizes as an evil cult. The so-called freedom of religion is a sham because the state strictly regulates religions, decides how they operate, and bans them when it suspects they are acting against its goals. The government also regulates religious books, traditions, and methods and places of worship. It does not hesitate to ban them when necessary. For instance, churches require state approval to operate. The government also holds a monopoly over the distribution of Bibles, determines who becomes a church leader, and regulates Christian holidays. The government used to be lax about its monopoly over the distribution of Bibles until recently. Then it started clamping down on the online sales of Bibles. China does not allow the Vatican to independently appoint Catholic bishops in their country, either. Rather, the government negotiates with the Vatican to determine who can become a bishop. At one time, the Chinese government even banned Christmas. Muslims are not treated any better. The government has banned Muslim names, dress styles, and traditions. Muslim women cannot wear burkas, and men cannot have beards. Parents cannot give their children Islamic names, either. In 2017, China banned Muslim civil servants from fasting during Ramadan, the Islamic month when Muslims are expected to fast. It even stationed guards at government buildings all day and night to ensure that the ban was enforced. The government also demanded that students in Muslim-majority regions watch communist films and engage in sports on Fridays, just to stop them from fasting and participating in joint community prayers that are held on Fridays. China also has strict guidelines to determine who performs hajj, an annual pilgrimage to Mecca, Saudi Arabia. The government demands that any Muslim who wants to make the hajj pilgrimage must be between 50 and 70 and must pledge allegiance to the government.